The United Arab Emirates or UAE is a popular holiday destination, especially the cities of Dubai and Abu Dhabi. Known for its modern buildings, awe-inspiring skyscrapers, unique culture, beautiful monuments, sprawling malls, gorgeous beaches, floating restaurant ,exciting theme parks, numerous shopping opportunities, opulent hotels and an amazing food scene, the Emirate cities of the UAE attract millions of people from all over the world. 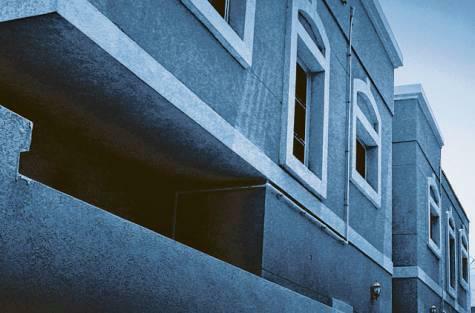 However, not many know that the UAE has a few haunted places too. 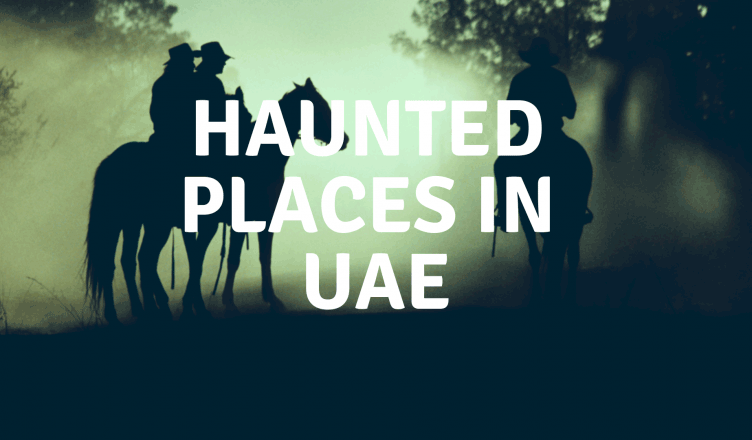 If you are interested in knowing and experiencing paranormal activities, here are some places in the UAE that you may want to visit. Imagine a thriving village which was inhabited by three indegenious tribes now completely abandoned! 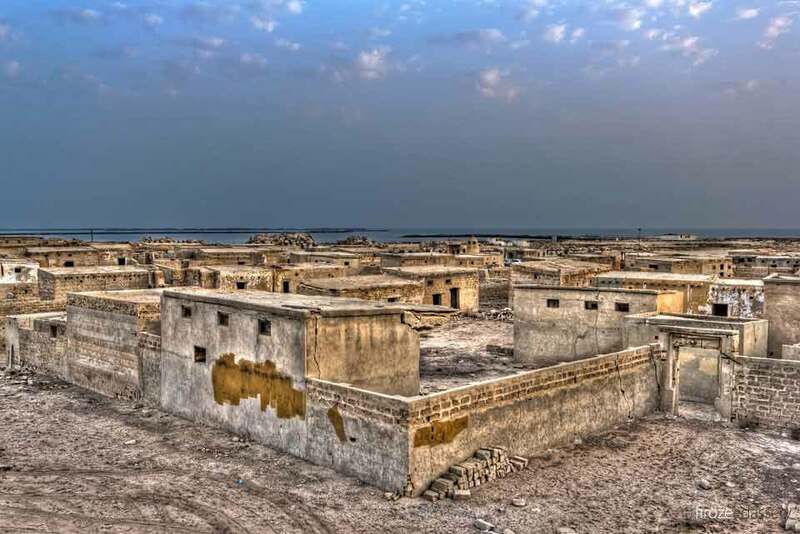 This is the story of Al Jazirat Al Hamra, a fishing village in Ras Al Khaimah where only empty houses remain and is also one of the most popular haunted places in Ras Al Khaimah. Apart from the abandoned ruins of old houses, what makes this place spooky is the eerie silence that exists in the air, not just during the night but also in the day. Also, people who have visited the nearby beach have been spell-bound by its beauty and at the same time spooked by the voices of ghosts. Locals believe that the village is haunted by djinns, and it is not recommended to visit Al Jazirat Al Hamra at night. The UAE is home to some really expensive and beautiful buildings and homes. 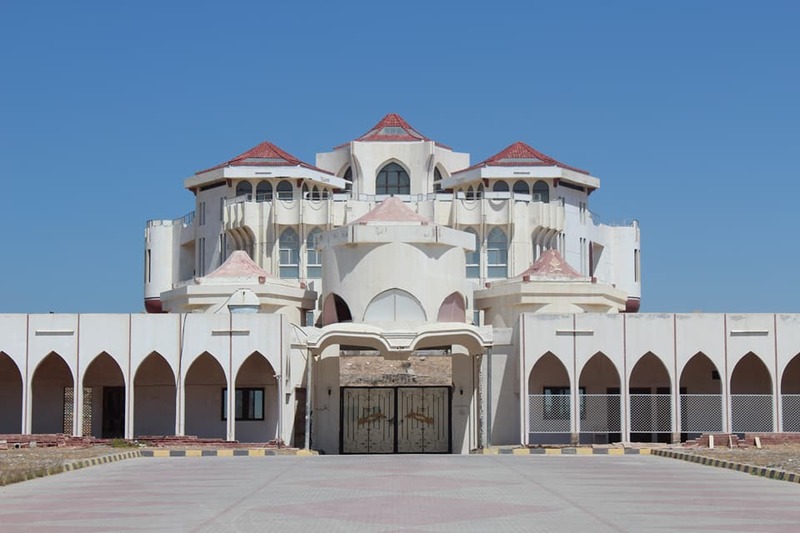 However, the existence of Al Qasimi Palace in Ras Al Khaimah is not a surprise. But what might surprise you that this Dh500 million palace has been abondoned some 20-25 years ago. In fact, the owners of the palace did not stay here for more than one night. Reason: they heard and saw strange noises and sightings which kept them awake for the entire night.They have reported to have seen strange children creeping, crawling and starting at them during the night, thus driving them away forever. Moreover, it has been said that the furniture started disappearing from the time the inhabitants left the place. People have said that they have seen little children staring at them from the huge windows and even crying. Downright scary, isn’t it? Moving to Dubai, one of the most haunted places in Dubai is Building No. 33 in Al Khali Gate. The building was completed in 2011 but the residents could not stay here for more than 6 days. Strange occurences drove away the inhabitants of this building. It was reported that things like mobiles, combs, toothbrushes, etc. Would disappear and would reappear in some other place, after some time. Once the first inhabitants left, no one dared to move back. Locals believe that the place is haunted by ghosts and they have heard moans and cries from the building, especially during the night. 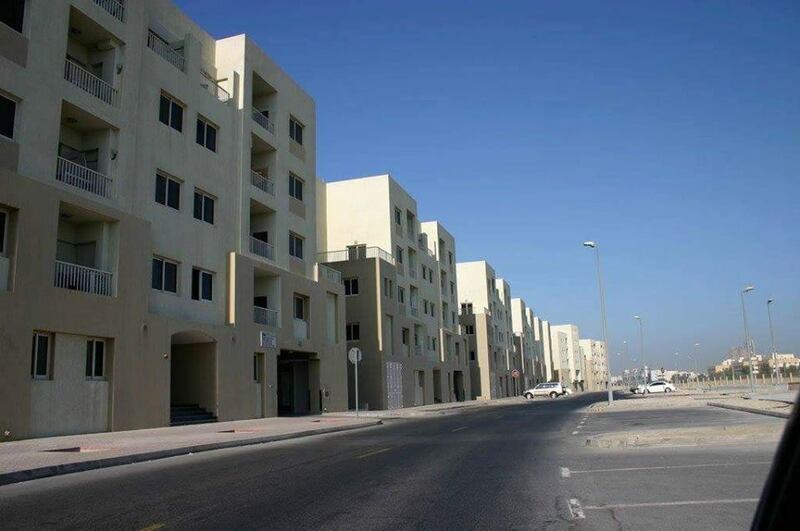 Jumeirah is one of the best residential localilties for living. However, a villa in Jumeirah is ignored like plague. The reason is that it is believed to be haunted both by locals and its previous residents. People who have lived in the house and even nearby have heard the moans of a man and even cries of a baby, spooking even the bravest souls. One resident has also claimed that a ghost removed her socks at least seven times during the night. This was witnessed not only by her but also by her roommates. Now, this villa has been empty for several years. Locals even fear passing this house as they believe that one of the ghosts can easily possess any passerby. This ghost story went viral because of a picture! What was a regular family outing for an Indian family turned out to be a spooky one. 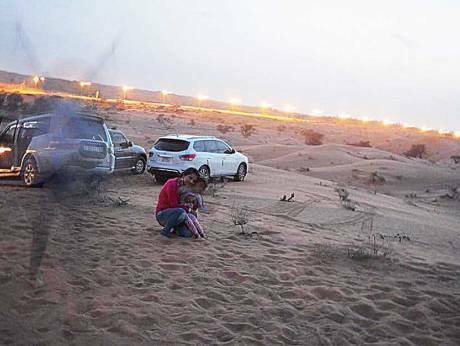 When Namit Vyas clicked a picture of his wife and kid on Interchange 9 on Al Dhaid Road, little did he imagine that he would capture the image of a supernatural entity. But when he got back to the pictures, he could clearly see the appariation of a woman with arms stretched, standing quite close to his family. Although many say that the image has been photoshopped, photo experts claim that it has not been tampered. Moreover, according to experts of paranormal activity, it is an image of djinn who roams in the desert, making it one of the haunted places in Sharjah. Passing a regular tunnel can scary many people, mostly because of the lighting. However, there is a tunnel in the UAE which is believed to be haunted. This tunnel is near the airport road in the UAE and have experienced strange accidents and mishaps during their journey in the tunnel. 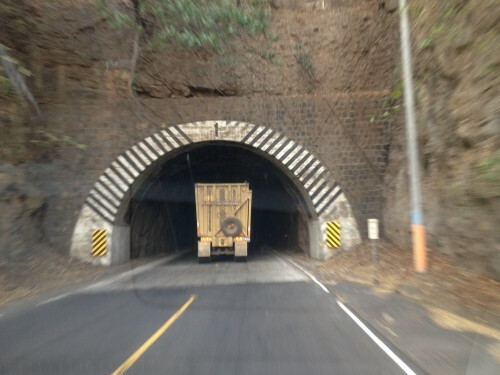 People also have experienced the presence of another person standing next to them while passing this tunnel. Morever, there is an old building just nearby where people have heard the sound of furniture moving and broken windows. The fact that this building is located next to an old cemetry makes the whole thing even more creepier. These haunted places in the UAE are long abandoned and hence you are free to explore them if you want, but at your own risk. If you get excited with the stories of paranormal activities, this is surely one of the best things to do in Dubai, especially if you want to take a break from sightseeing.